Lasting friendship and support for people with disabilities. Lifetime Networks is a very special place where people with diverse abilities come together and work on everyone’s abilities. 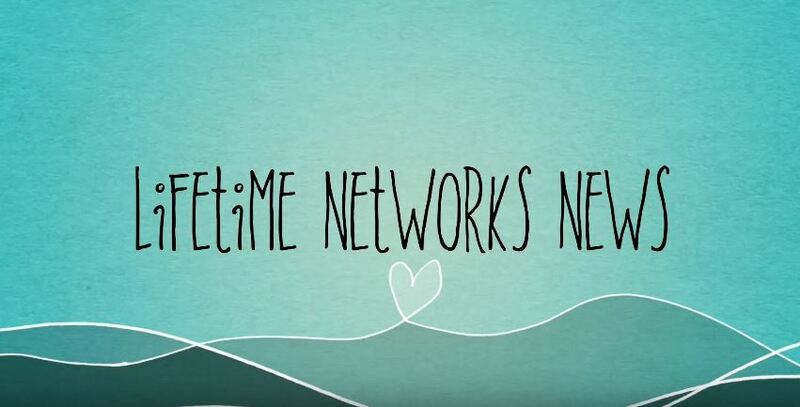 “At Lifetime Networks I feel safe, there are people I can talk to and relate to"
Lifetime Friendships… Lifetime Supports… Lifetime Networks. At Lifetime Networks we understand the importance of relationships. We listen and meet you where you are at. We aim to work together with you to help you achieve your goals, whatever they may be. We build Networks of Friends, provide Continuing Education, Community Engagement Support, Employment Preparation, Job Search, ‘on the job’ support and more… all within inclusive, safe, welcoming settings. Please give us a call to discuss how we can work together for you. 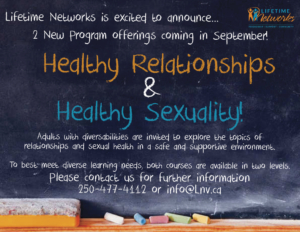 Explore the topic of sexual health in a safe and supportive environment! A flexible curriculum will allow the participants to set the pace of their own learning. We are continuously welcoming students into this class. If you would like to register, call 250-477-4112 or info@Lnv.ca. Winter 2019 Sessional Programs now Open! Lifetime Networks’ Winter 2019 Sessional Programs are now open for registration! 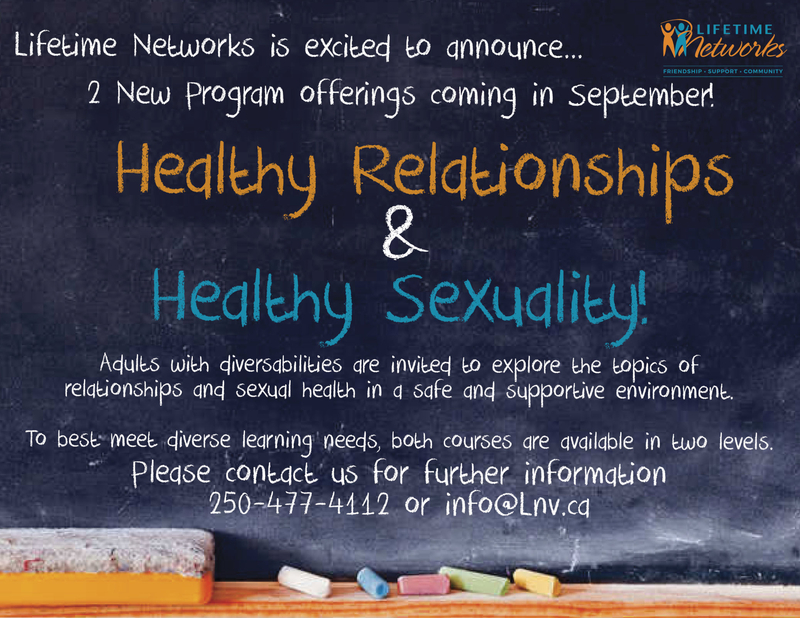 Call 250-477-4112 or email Noah@Lnv.ca for more information or to register. Lifetime Networks has partnered with Inclusion BC to bring their successful Clothes Drop program to Victoria! Click here to find the bin nearest you! 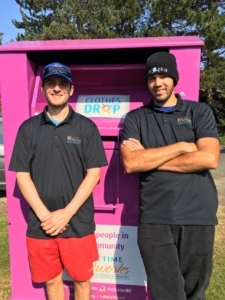 Clothes Drop is a great way to support inclusion in your community while being kind to the environment. For more information check out our Clothes Drop page! 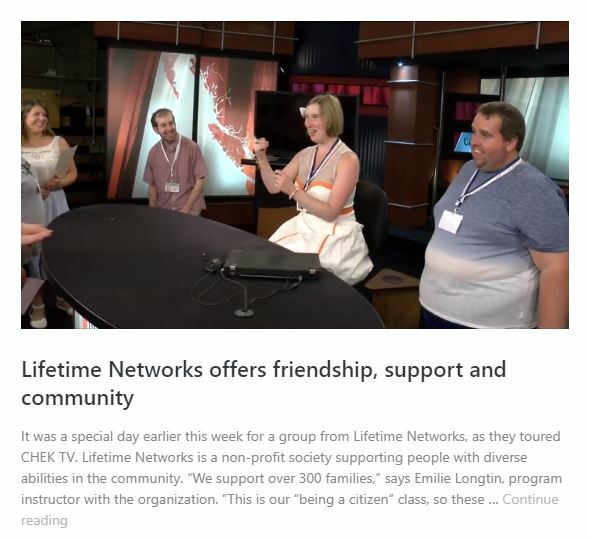 Lifetime Networks’ Being A Citizen crew visits CHEK News. Chek* out the news story below! What? Queerabilities is a place to share resources and build community. Please check out our upcoming Events and Programs! Inclusion BC Clothes Drop Bin -Please check out our Clothes Drop Page and look here for a bin near you! 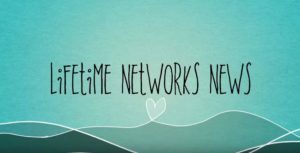 NEW Programs at Lifetime Networks! Healthy Relationships & Healthy Sexuality! To best meet diverse learning needs, both courses are available in two levels. Congratulations and a BIG Thank you to everyone who took part and supported Lifetime Networks’ 15th Annual Gala and Auction!! Thank you sincerely to all of our generous supporters for continuing to make our Gala and Auction possible. Year after year, gifts from our sponsors are instrumental in our ability to achieve our mission: to foster networks of friendship and support for people with diversabilities to enhance community! Return the support by choosing our Supporters as your businesses of choice! Lifetime Networks in honored to have won the Non-Profit of the Year award at the Chamber of Commerce 2017 Awards Gala. To read more, please click here. ©2016 - Lifetime Networks. All rights reserved.